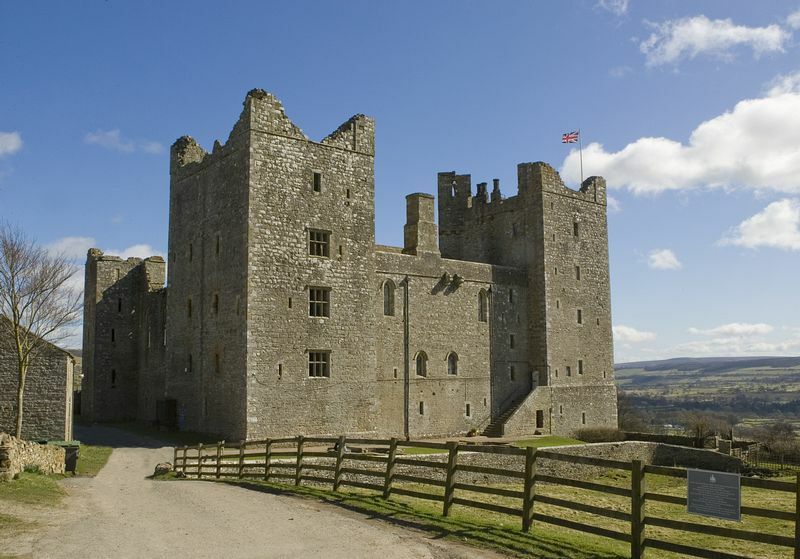 Bolton is one of the country's best preserved medieval castles, situated in the heart of Wensleydale with stunning views over the Yorkshire Dales National Park. Completed in 1399 by Richard le Scrope, Chancellor of England to Richard II, its scars bear testament to over 600 years of fascinating history including involvement in the Pilgrimage of Grace, Mary Queen of Scots imprisonment and a six month siege during the Civil War. 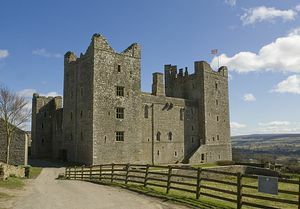 Bolton Castle was a luxurious family home as well as a defensive fortress and, despite being partially 'slighted' by Cromwells' men during the Civil War siege, the Castle is preserved in outstanding condition with many interesting rooms and features to discover, including the Old Kitchens, Dungeon, Solar, Nursery, Armoury, Great Chamber and Mary Queen of Scots bedroom. About one third of the rooms are fully intact and the rest of the Castle is almost completely accessible giving visitors great insight into its turbulent past. We also have a Falconry Experience, Wild Boar Park, Medieval Archery Demonstrations and Bee Keeping display for you to enjoy whilst at Bolton Castle. Our last entry will be at 1pm and we will close at 2pm on 26th April 2014 and 10th May 2014. Includes Falconry displays, Hawk and Owl displays, archery display, Children's costumes and trails, wild boar park, castle and gardens. Adults £3.00; Children £2.00; Family £10.00. We offer a discounted rate on admission for groups of 15 people or more as well as an exciting range of group packages and guided tours. Please call the Castle for more information. The closest mainline station to Bolton Castle is Northallerton, which is on the National Express East Coast line. For more information please go to: National Express Timetable.